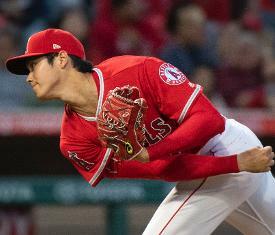 Los Angeles Angels rookie phenom Shohei Ohtani is expected to undergo Tommy John surgery and be sidelined until the 2020 season, according to a report Monday by ESPN's Pedro Gomez. Ohtani was placed on the disabled list Friday with a Grade 2 sprain of the ulnar collateral ligament in his right elbow. There are three grades of UCL injuries, and the Angels are waiting to see if Ohtani definitely requires surgery. "The Angels are holding out hope that (Tommy John surgery) won't be the case, but everything I'm hearing is that the reality is, he probably will need Tommy John surgery," Gomez said Monday morning. "They're trying to hold out, because they're in the middle of the season, they're kind of competitive right now, he is their best pitcher, but it doesn't look good at this point." The Angels originally said that Ohtani will be re-evaluated in three weeks. Ohtani, who pitches right-handed, underwent platelet-rich plasma (PRP) and stem cell treatments Thursday. The UCL injury was discovered during an MRI exam. General manager Billy Eppler told reporters during a conference call late last week that the team believed Ohtani would avoid Tommy John surgery. "We're hopeful that he can, that it is completely treatable with the biologic prescription the doctors recommended," Eppler said. "I'm just going to take every day as it comes and put him on this course of recovery and strengthening for the next three weeks and then deal with what we've got to deal with in three weeks' time." The Japanese standout departed last Wednesday's start against Kansas City after four innings due to what the team termed a blister issue. But Ohtani later brought up his elbow soreness. "As the game adrenaline wore off, he said, 'My elbow is getting a little stiff,'" Eppler said. Ohtani had a PRP shot in October, before he signed with the Angels, to treat previous elbow pain he had. Ohtani, 23, is 4-1 with a 3.10 ERA in nine starts as a pitcher. He has stuck out 61 batters in 49 1/3 innings. He also is batting .289 with six home runs and 20 RBI in 34 games as a designated hitter. Eppler answered affirmatively when asked if Ohtani would be playing if he were only a hitter. "But that's not his circumstance, and that's not how we want to utilize the player," Eppler said. "It was determined that any unique swing or variability (in Ohtani's elbow) could impose some small percentage increase in risk, so that's why we're going to give it the three-week time period right now to assess and then make a determination at that time."